In the late 1990s, Montréal-based printmaker Paul Machnik worked with Kenojuak Ashevak, one of the most notable pioneers of modern Inuit art, to produce a printed edition titled “Small Owl.” Travelling with an etching press on his back and sealifted printmaking materials, Machnik conducted workshops in eight communities: Arctic Bay, Clyde River, Hall Beach, Igloolik, Kimmirut, Pond Inlet, Qikiqtarjuaq, and Rankin Inlet. The participants were a mix of children, adults, and elders. At the end of each workshop, they chose six prints to represent their community. The final collection thus contains 48 prints. 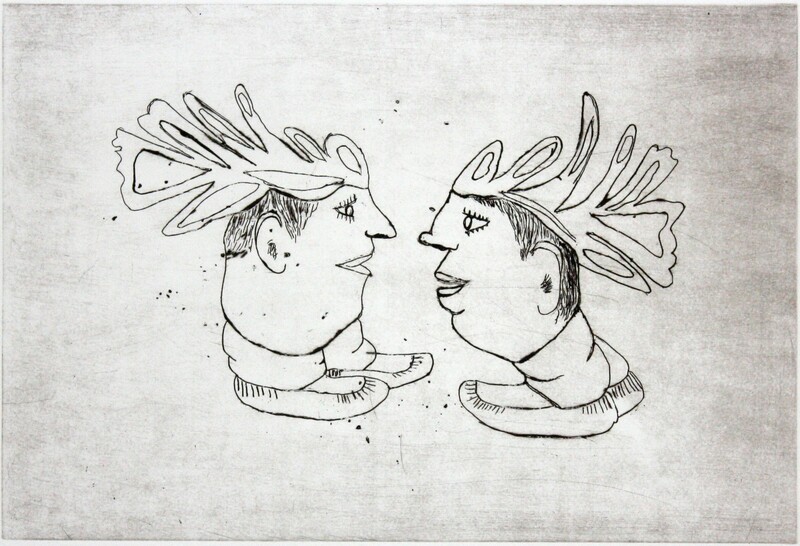 This exhibition presents Ashevak’s print alongside 14 prints from the collection. For more information, visit www.malaspinaprintmakers.com.